With more than 10 years of sales experience in the travelling, adventure and diving industry, she brings a wealth of knowledge and experience both in the B2B and the B2C area. 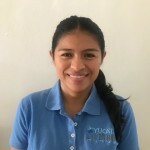 Playa del Carmen / Munich, May 29, 2018 – The Chilam Group, XTC and Yucatan Dive Trek would like to share the exciting news of the recent appointment of Sales Manager Isela Pech. Isela is very happy to join The Chilam Group, offering the team a full-time sales manager who will oversee and manage the day to day contact between business partners and the different companies under The Chilam Group. Being born and raised in the Yucatan Peninsula, Isela is passionate about sharing the amazing diversity, both underwater and on land, that this region has to offer, and is looking forward to designing some outstanding experiences for our partners and guests. Please join in welcoming Isela to the team. The Chilam Group looks forward to strengthen all partnerships with this addition. 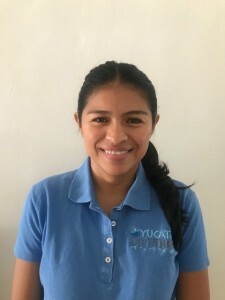 Alternatively, you can contact the European representative of Yucatán Dive Trek at xtc [at] tourism-unlimited.com or by phone: +49-89-673 78 619. Text: She brings more than 10 years of sales experience in the travelling, adventure and diving industry to strengthen partnerships and the team.